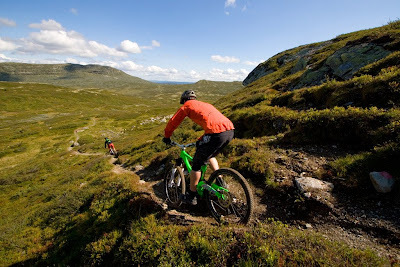 Had an awesome weekend up by the deep fjords of north west Norway, riding some of the most scenic and steepest bike-terrain there is, at least what I've seen. 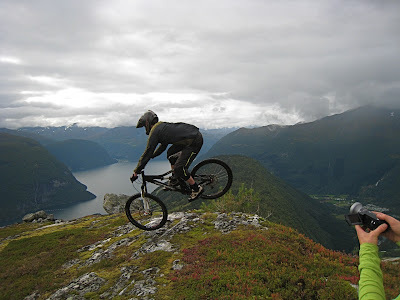 The local rippers Veronica, Bjørnar, Helge, Arild and Håvard with friends threw a camp, got nearly 50 stoked big city bikers up there and showed them the best singletracks between peak and fjord. 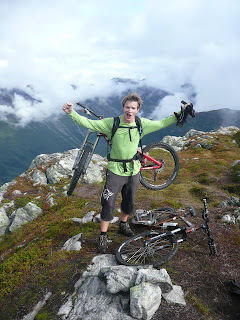 On top of a peak on the west coast of Norway and only one way to go from there. Down. 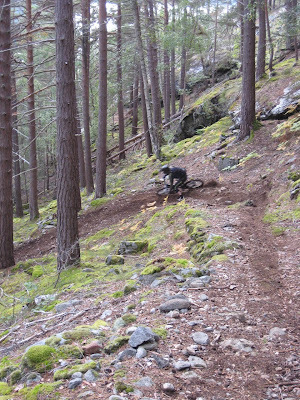 Fast.This is mountainbiking really close to ski touring with 6 inch suspension like big fat planks that are ready for good times going down. As good as it gets, at least without snow. 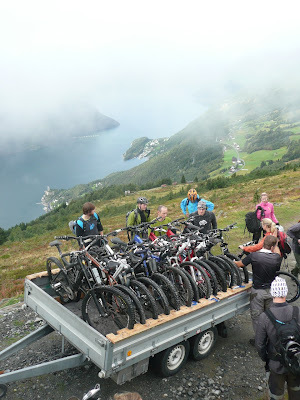 Perfect shuttle setup by the locals give you 750 vertical for free. 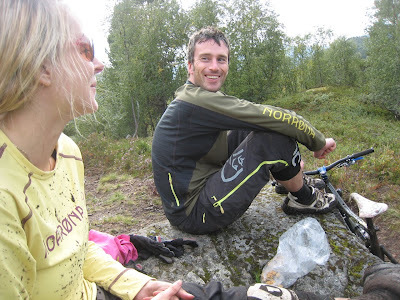 Veronica and Bjørnar takin a break on the long way down from mefjellet at 1100 meters above barbeque-and-beer-level. 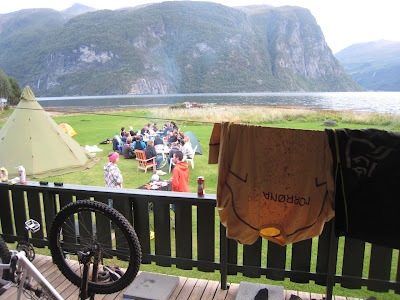 Ground zero, bbq, fjord, campin and beer equals good times.